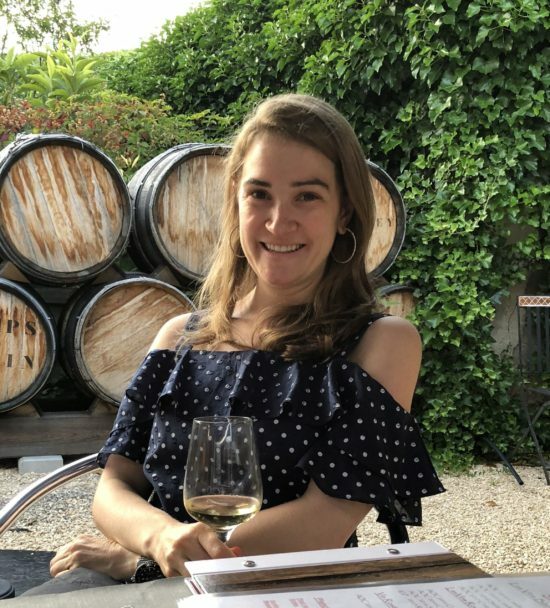 Wine Wednesdays - Tasting at Frank Family Vineyards - Chardonnay Moi - Food, Wine, Travel and Fun! I made a last minute decision to go home for President’s Weekend and as I checked the negative temps in NYC this weekend from my phone, I could not have been more thankful that I got the heck out of town! It was abnormally warm the entire weekend, with temps in the high 70s we got in some serious pool time, in February! 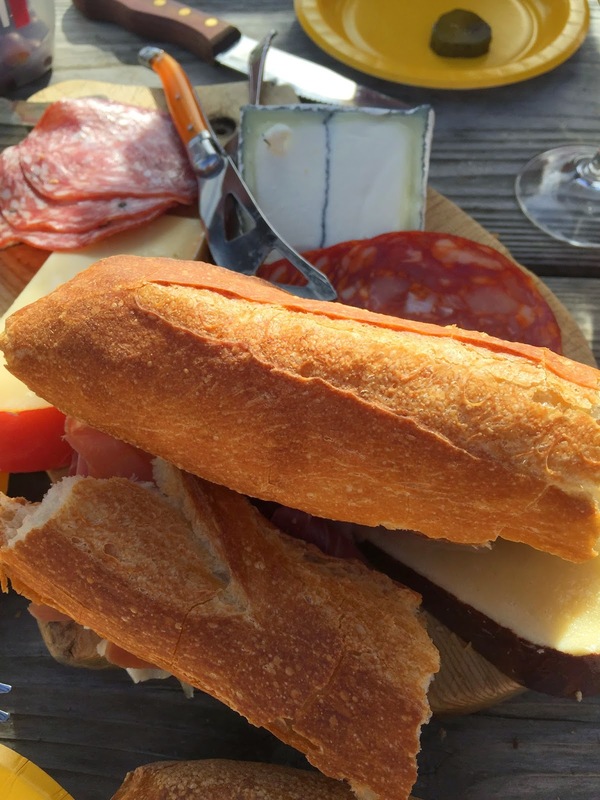 We also took a picnic to Frank Family Vineyards in Calistoga. 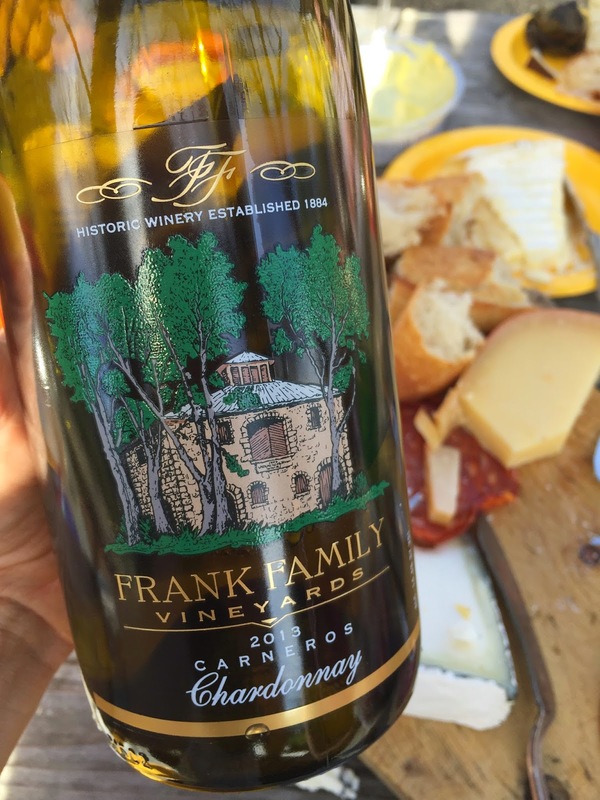 I’ve enjoyed Frank Family Chardonnay on several occasions, mostly out in restaurants, it’s one of Mom’s favorites. They offer a great tasting experience and beautiful grounds provided the perfect backdrop for a picnic. 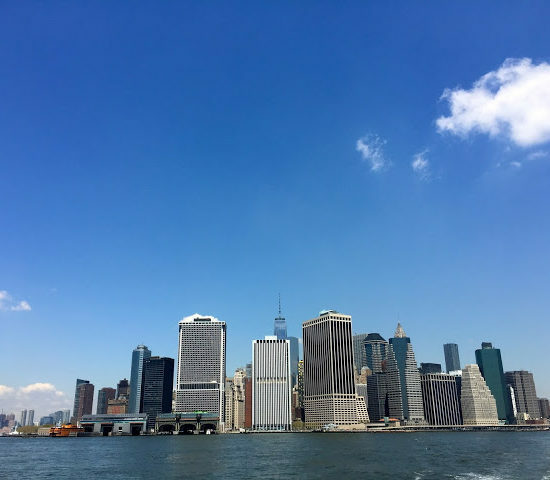 I was a bad blogger and was more caught up enjoying the moment vs. documenting with pics, so excuse the few I had to share. 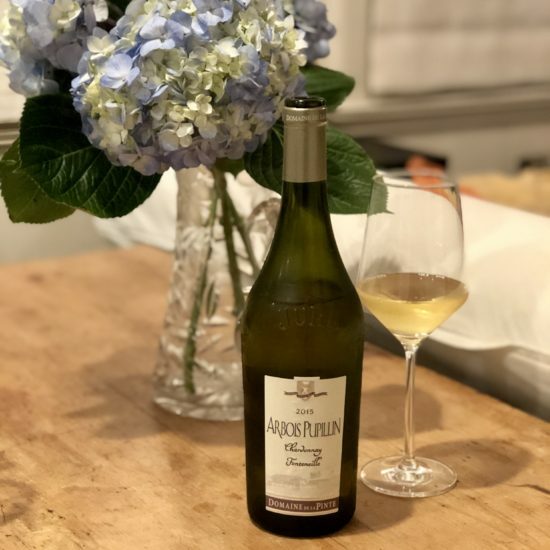 We started with a bottle of 2013 Carneros Chardonnay. Light and easy to drink, it was the perfect pairing with our picnic. 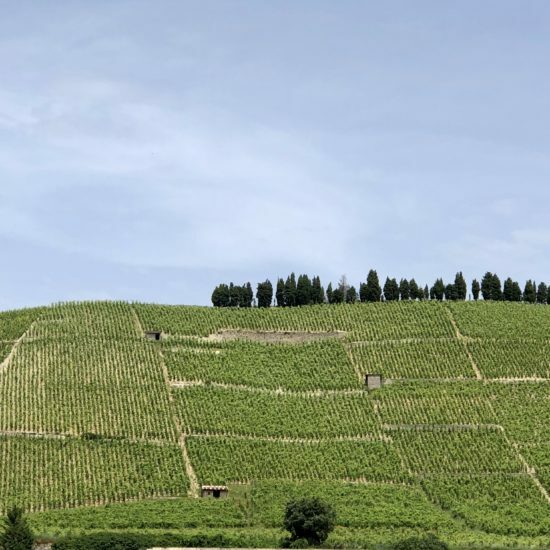 Although it was almost 80 degrees outside, Frank Family prefers to serve their wines a little less chilled than average, giving you the opportunity to experience the full expression of the wine. Creamy on the palate, with notes of vanilla, stone fruits, and a finish of fresh green apple; a classic chardonnay. This chardonnay was aged in 30% new French oak for 9 months. A bit younger, and the balance of new and neutral oak gives it that round creaminess without being overly-oaked. After lunch we headed in to the tasting room to experience their reserve tasting. Monty was ever so helpful starting us off with a bit of bubbly. New to me, I didn’t even realize they made sparkling wine. Next, we moved on to the Lewis Vineyard Reserve Chardonnay and Pinot Noir. I preferred the Carneros Chardonnay as it was more crisp and clean. The Pinot was great, but my surprise favorite of the tasting was the 2012 Reserve Zinfandel from Chiles Valley. I’m not a big Zin fan but this had the full-bodied feel of a cab, was slightly smokey but still fruit forward and had great structure, which I find is sometimes lacking in Zin. 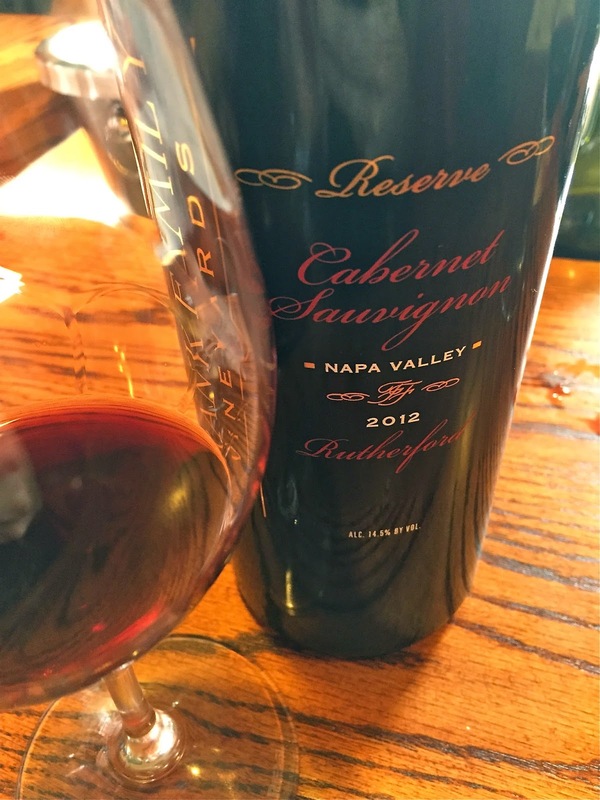 I also enjoyed the 2012 Reserve Cabernet Sauvignon. As Robert Parker put it, this wine was “build like a skyscraper, but not heavy”. So very true. I think this wine could lay down for years to come as the tannins were still a little overpowering on the finish. Can’t even believe it was shirt and skirt weather! 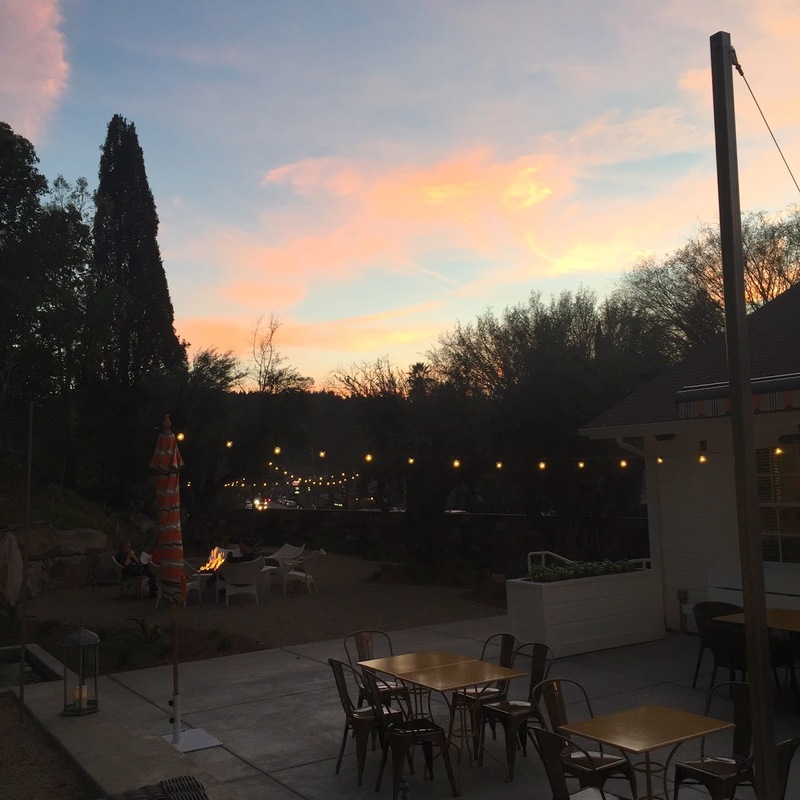 After tasting we snuck up to Sam’s Social Club, the new restaurant at Indian Springs for a sunset drink. They are officially opening today and I have a strong feeling this is going to be the new hot place to hang out in the valley.